The Blackpool & District Badminton Association was formed in 1947 with the purpose of managing, administering and promoting competitive badminton in and around the Blackpool area. 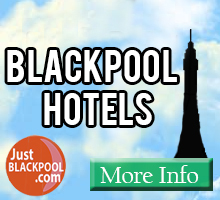 If you would like more information, help or guidance, please email: blackpoolbadders@yahoo.com. Cup Winners:- Fleetwood A & Kirkham Charter B More..
Report and photos will also be on Blackpool Facebook. More..
Crunch time in the cups More..
Cup Quarter Finals ! More..